Every Friday authors from around the world gather around the virtual fireside of fellow WordPress blogger Rochelle Wisoff to share flash fiction stories of 100 words, prompted by a common photograph, and exchange constructive criticism. Readers’ comments are also welcome. This week’s photo has been provided by Erin Leary. Thanks, Erin. This is a very beautiful image! 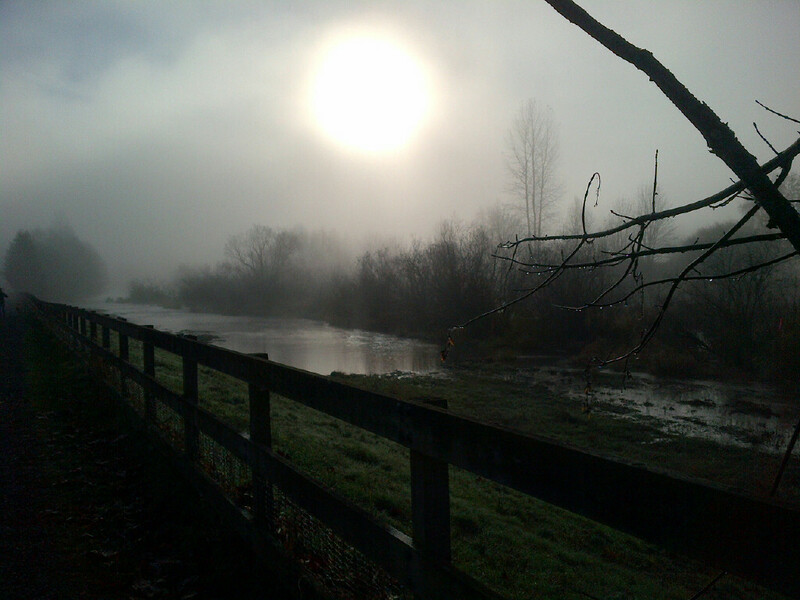 Conscious with the sense of having lain watching a sun rising through mists. Cold I saw I was naked amongst bracken. Rising to walk I clothed myself in fern feather twig and herb plucked from the forest floor. Hungry I foraged with other forest creatures. Years passed in deprivation. Came a winter bitterest of all yet I wasn’t cold. My garment had grown dense and long over time each layer reciting in rich or subtle colour a poem of its season. The forest’s food had made me strong and I walked in a song thronged by my forest friends. This entry was posted in Short Story Writing, spirituality, Writing and tagged Flash Fiction, flash fiction, Friday Fictioneers, Pastoral, Rochelle Wisoff, Short Story Writing, Spiritual. Bookmark the permalink. I agree with Rochelle’s comment. There’s something comfortable and warm about this. I agree with Rochelle’s comment. There is something comfortable and warm about this. This has the feeling of ancient folklore. Astral and poetic. Thank you and perceptive. Strangely enough, it’s an echo of something I wrote that came out of nowhere when I was just beginning to write ‘seriously’ in about 2003. Later, I knew it to be a sort of blueprint of ‘the hero’s journey’. Interesting. I loved the descriptions. Beautifully written Ann, well done.